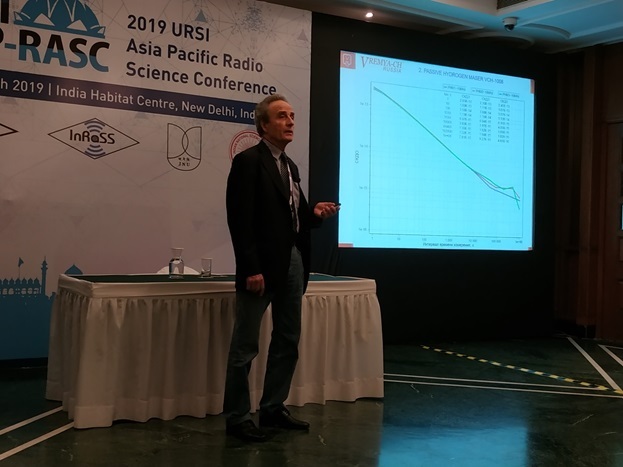 Asia Pacific Radio Science Conference AP-RASC 2019 was held in New Delhi from March 9 to 15 2019. The conference included sessions on the metrology of time and frequency, and time and frequency supply for satellite navigation systems. 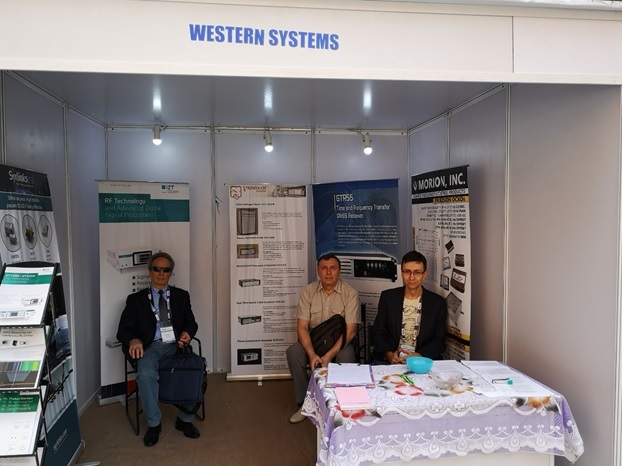 The information about Vremya-CH products was shown on the booth of Western Systems company – official representative of our company in India. Dr. N. Demidov, Yu. 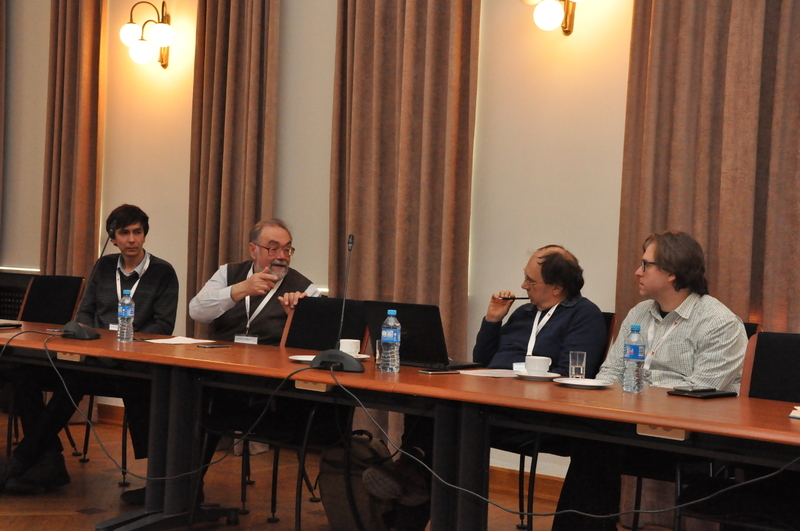 Rybkin, and Dr. K. Mishagin took part in the conference from Vremya-CH. 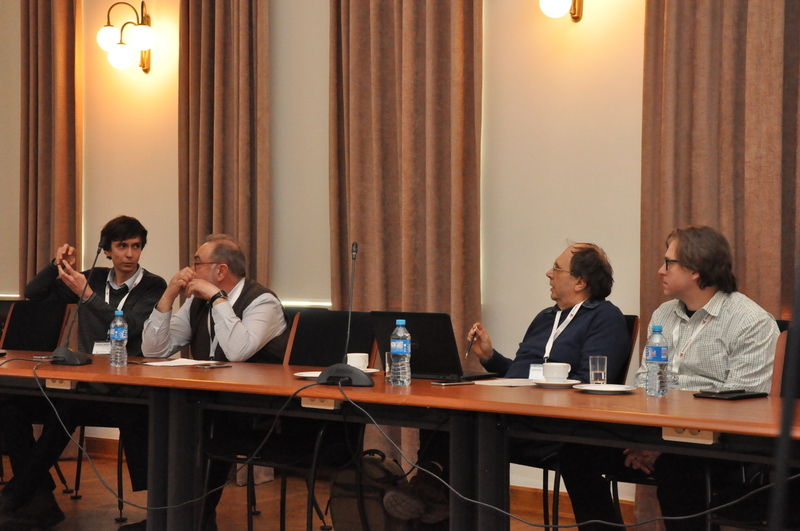 The following reports were delivered: “Russian Hydrogen Masers For Ground And Space Applications” (N. Demidov), and “Design of Control Loop for Smooth Automatic Steering of Atomic Clocks” (K. Mishagin). 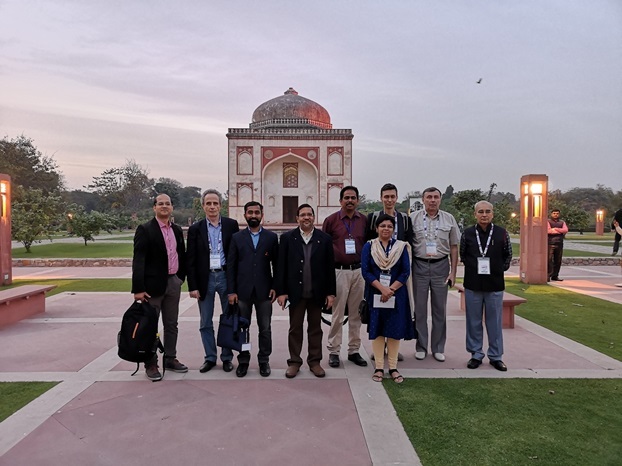 These reports were also presented on March 18, 2019 on the conference, organized in Bangalore by ISRO Telemetry, Tracking and Command Network (ISTRAC). 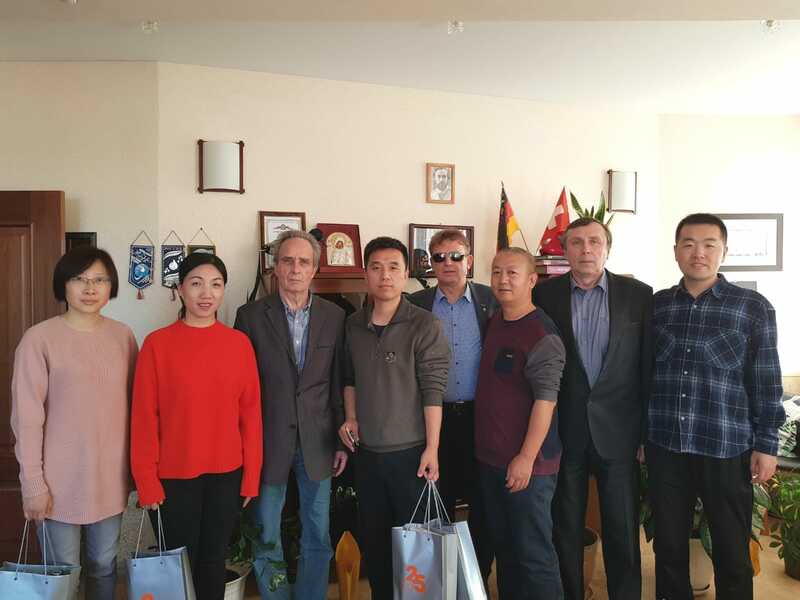 On the October 29th – 31th, 2018 Vremya-CH company received the delegation from the leading metrological center of People’s Republic of China – «Beijing Institute of Radio metrology & Measurements» headed by the general designer Mr. Zhou Tiezhong, representatives of the companies «Beijing GenWangXinMao» from Beijing, and "MotioNets Technology Pte. Ltd.» From Singapore. The guests learned information about Vremya-CH products and discussed perspectives of collaboration. «Vremya-CH» JSC participated in the «European Frequency and Time Forum 2018», which was held on April 10-12 in Turin, Italy (website). Our company was presented by Yu.K. Pavlenko, K.Yu. Pavlenko and K.G. Mishagin. 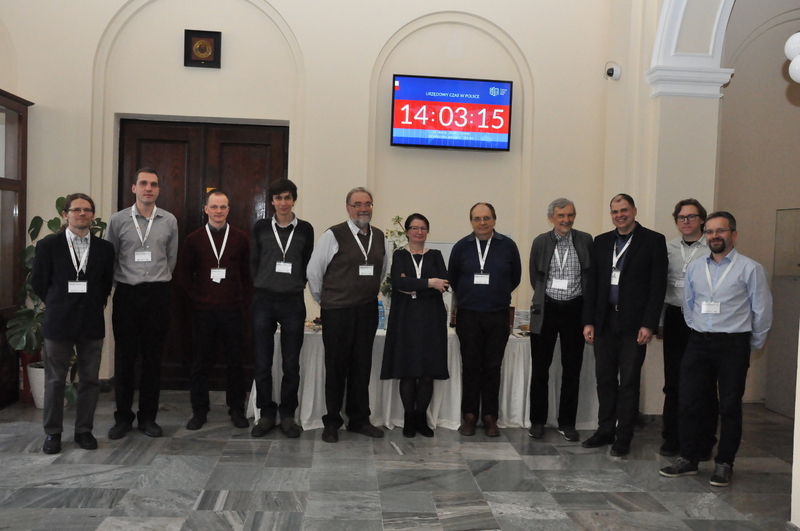 Researchers of Vremya-CH participated in two oral presentations as authors and co-authors: «Practical Approach to the Use of Linear Quadratic Gaussian Control for Time Scale Signals» and «Stability analysis and continuous operation of Rb fountains for timescale generation». Vremya-CH was also presented in the exhibition of EFTF-2018. 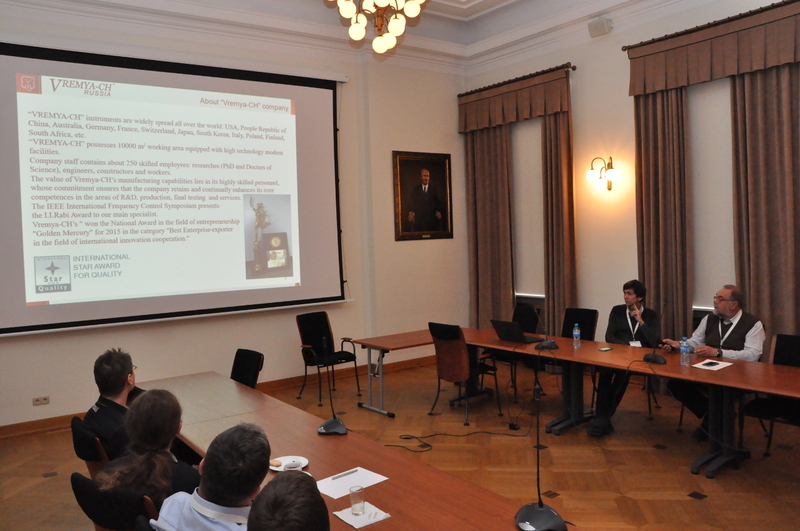 Representatives of Vremya-CH company (Dr. S. Medvedev and Dr. K. Mishagin) participated in the meeting, organized by our partner in Poland – Systemics PAB, in Central Office of Measurements in Warsaw. 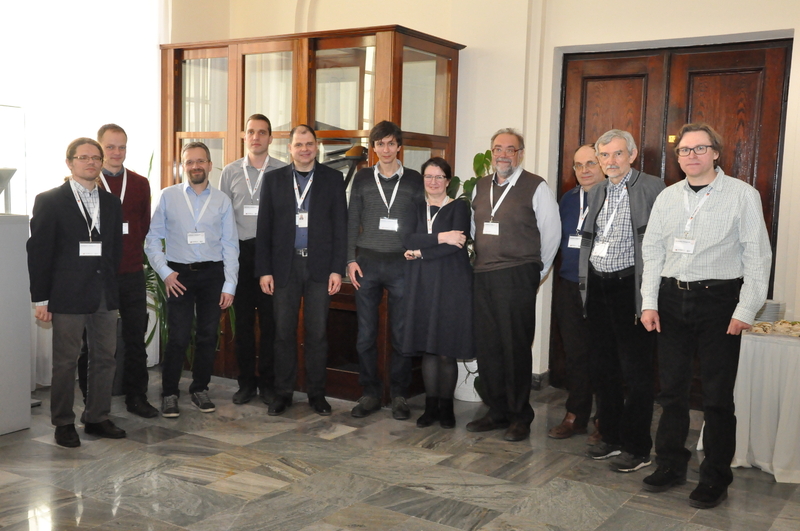 This meeting brought together the specialists of time and frequency society in Poland: from Central Office of Measurements, Borowiec Astrogeodynamic Observatory, Poznan Supercomputing and Networking Center, and PikTime Systems. The main topics of the discussions concerned the progress in the development of H-masers and the other instruments produced by Vremya-CH, as well as development of atomic clock ensembles with the use of Vremya-CH instruments and algorithms. China’s sole distributor GWXM visited Vremya-Ch to discuss further co-operations and signing of contracts. In addition, to jointly cooperate in the coming 23rd to 25th May, 2018 Exhibitions & Conference to be held in Harbin city: The China Satellite Navigation Conference 2018 (CSNC2018). 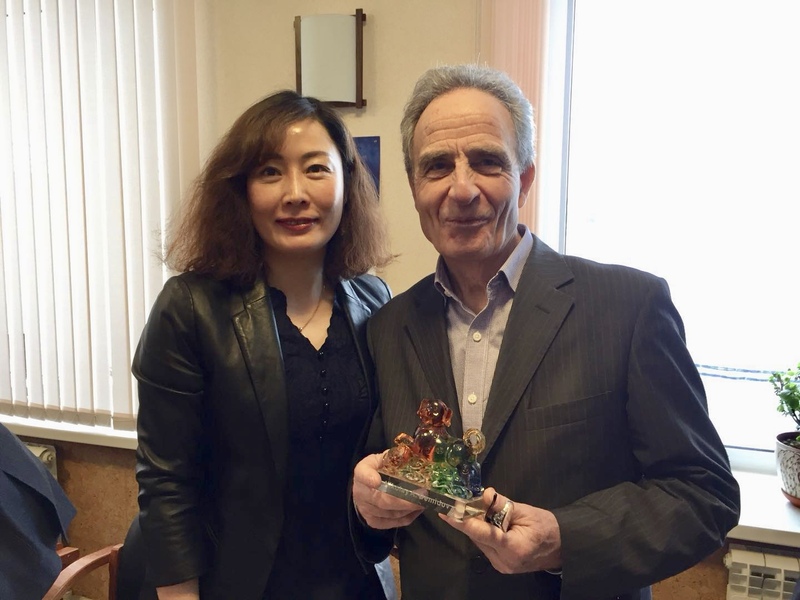 Dr. Nickolay Demidov has agreed to participate in this conference and exhibition together with Beijing GenWangXinMao (GWXM) in Booth No: B10.